On New Year’s Eve in Spain, party guests eat twelve grapes when the clock strikes midnight to ensure a lucky twelve months ahead. ¡Próspero año nuevo! 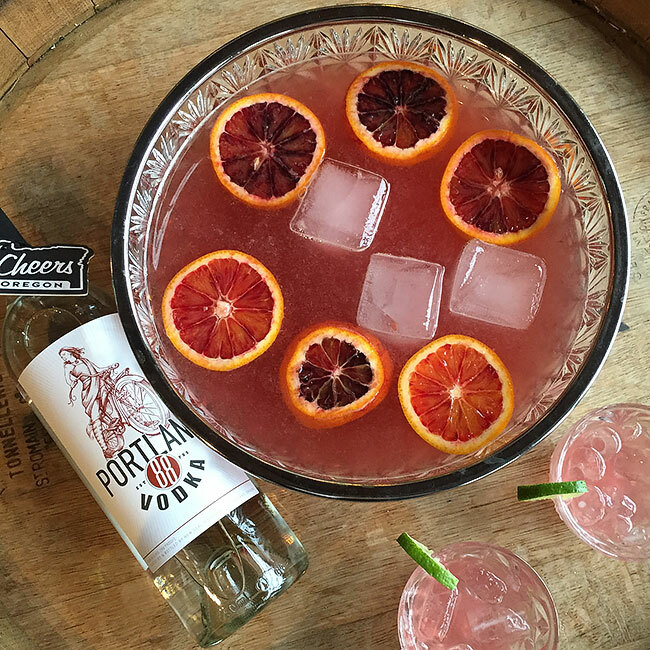 To make punch, combine ingredients in punch bowl and add frozen grapes and blood orange slices. Serve over ice in 4-5 oz punch cups. Makes 12 – 15 servings.